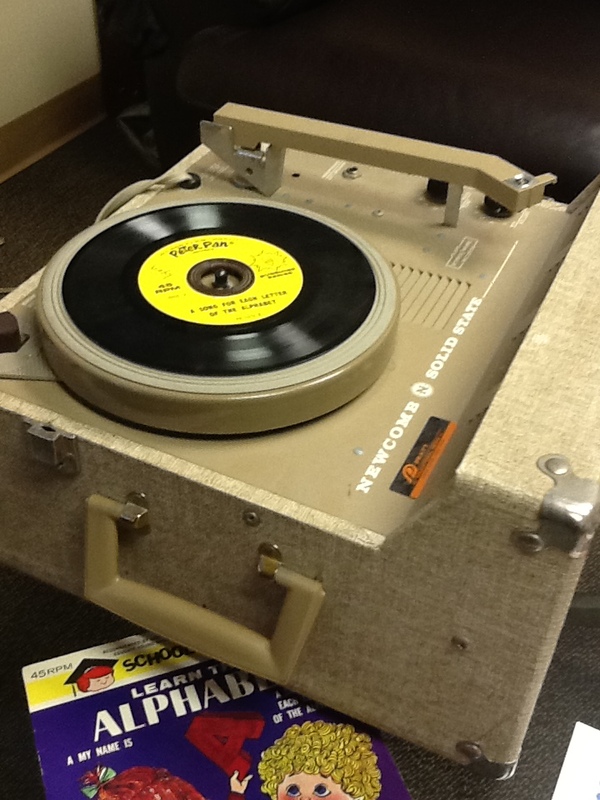 When I was in school (the 60s and 70s), there was a record player in a beige box in every single classroom. This one is a Newcomb solid state record player. There are three speeds: 33, 45, and 78. The 33 was the dominant speed used for LP (long play) full size records. The 45 and 78 were used for little records or "singles", as in a single song. It is my impression that every classroom that I was in had the same model. This was my impression, does anyone have any statistics on whether it's true? 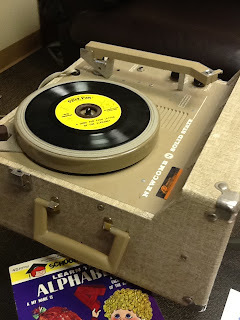 Did Necomb just have a dominant market share in my part of the country (DC) or did they have record players in every classroom in every school nationwide? Or were there multiple vendors of beige record players in a box? I think these were a standard in classrooms right up to the end of the century (I can't tell you how weird it is to say that about the year 2000!). The record players were often used as the sound track with the educational filmstrips that were also in use at that time. While the record player stayed in the classroom, the filmstrip projector, hte movie projector,a nd the overhead projector were kept in the AV closet and brought to our room on the AV cart by the AV aides. I know that record player! Many of my schools used them as late as the early 2000s. Before I got my own turntable when I was 12, my school let me test my record collection on one of those babies. Then in high school, at an after school program, we dug one of those out of a closet, and one of the teachers decided to use it in a demonstration, playing a 45-RPM record (of The Twist), a 78-RPM record (one of those little children's records telling the story of Babar) and an LP (featuring techno remixes of classical music pieces.